Very few areas in Italy, and probably around the world , have such a rich culinary tradition like the Emilia Romagna region. Every city, every little "Borgo" or "Villaggio" is an incredible and exquisite concentration of wonderful people, romantic landscapes and, of course, pure, simple gluttony. I had the privilege of going to college in the city of Bologna, called " La Grassa" (the fat) for obvious reasons. I was lucky that having to study and being under stress for a long period of time, I was able to counteract the countless number of calories I was indulging on a daily basis. From mortadella to piadine, continuing on to tortelloni and ragu' of every kind. From this perspective, the city of Parma is a valid and strong contender for the title of food capital in this splendid region. Some people might ignore the origins of very well known food such as the Parmesan Cheese (the real Parmigiano Reggiano) and the famous Prosciutto di Parma, not to mention the incredible variety of mushrooms and truffles which are abundantly found in the hills adjacent Parma and equally used in different pasta recipes. Thus the name"food valley" where famous chefs such as Mario Batali found inspiration and glory. A recipes that is equally famous, but very often misrepresented around the world in the Melanzane all Parmigiana or Eggplant Parmesan. 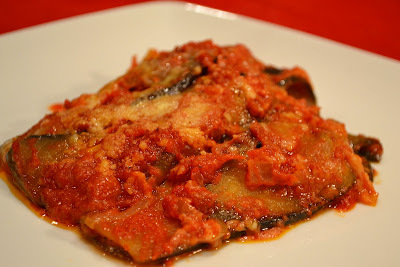 Very often this recipe is mistaken with the Parmigiana di Melanzane, which is typical of the Campania region and where the eggplants are fried, giving a quite different end result, but never the less equally delicious. 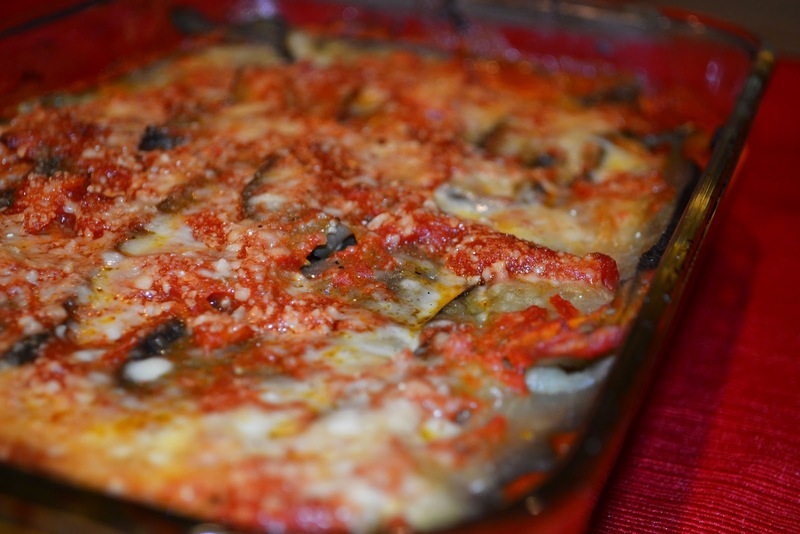 The melanzane alla parmigiana is a simple light, tasty vegetarian entree that I believe can be presented in every season and during different occasions. Slice the eggplants by length about 1/4 inch thick. Boil them in hot, salted water for 2 minutes. Then put them on a tray and let them dry in a warm oven. Meanwhile in a large skillet, heat 2 tablespoons of extra virgin olive oil, onion and the butter. Add the prosciutto cut into little cubes, and finally after a few minutes of simmering, add the tomatoes, salt and pepper and let it cook for at least 20 minutes. 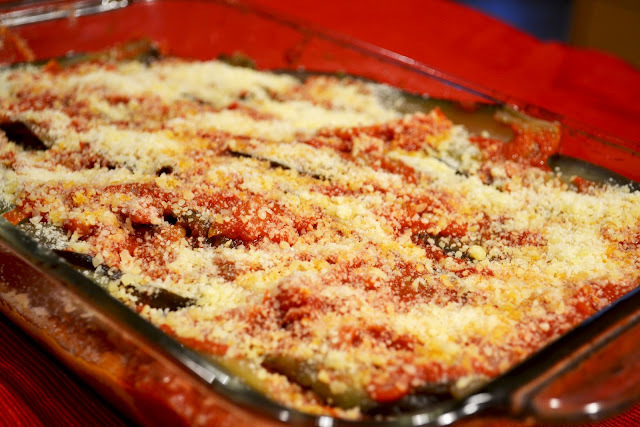 In a glass baking dish create a layer of eggplants, cover with the tomato sauce and sprinkle abundantly with grated parmesan cheese. Continue to layer until you used all the ingredients. At the top layer, add a little bit of butter and Parmesan cheese to cover the dish. 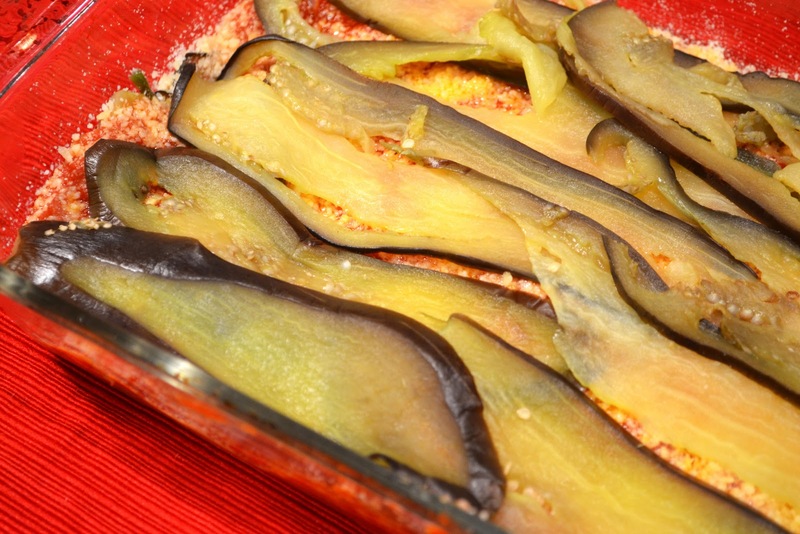 Bake at 450 degrees for 20 minutes and serve in the same baking dish. Pair up with a nice red Cabernet or Pinot Noir.